Dreamforce ‘18 featured some truly outstanding sessions on the next generation of Salesforce technologies and development practices. Standouts included the excellent sessions showing how technologies like Platform Events, Change Data Capture, Unlocked Packages, and Force-DI lead to modular, loosely-coupled, and event driven Salesforce applications. 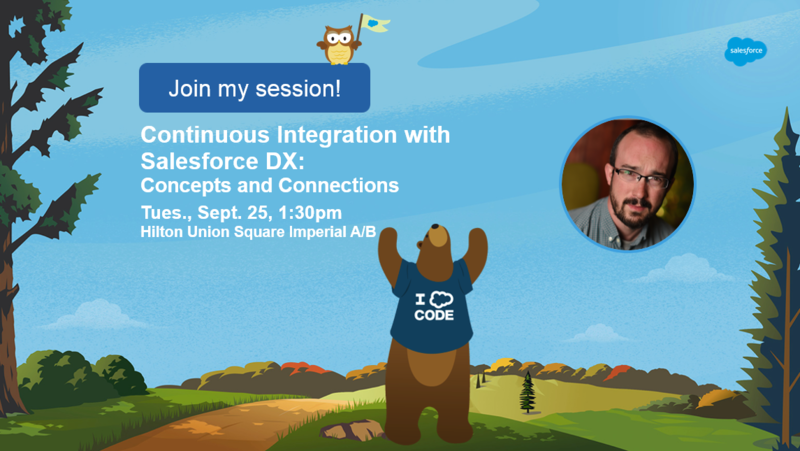 My session, Continuous Integration and Salesforce DX: Concepts and Connections, had over 350 registrants and yielded some excellent and important questions about moving to Salesforce DX practice. It was a great experience, and the talk is now available on YouTube. I successfully completed the Salesforce Data Architecture and Management Designer certification, which means I’ve reached the Certified Application Architect level. This was my primary goal for 2018 and I’m thrilled to complete one half of the Architect pyramid. 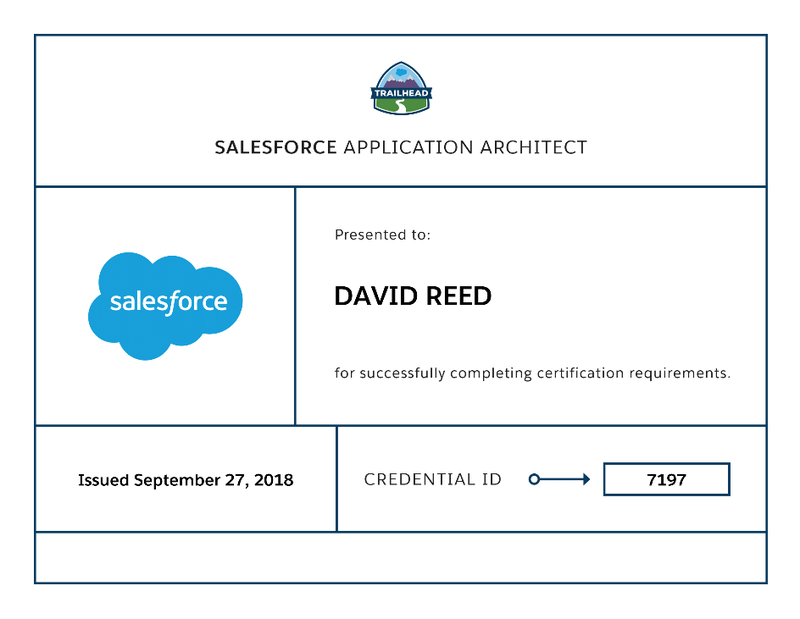 On to System Architect, and Dreamforce 2019!